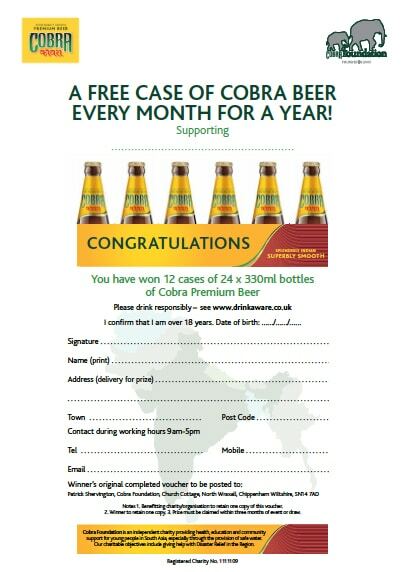 Please complete the following form to apply for stocks of Cobra beer for your charitable event. Alternatively, you can download an application form [PDF, 53KB] and post it to the address shown on the form. Official certificate for presenting to prize winners to redeem their 12 cases of Cobra beer.